It’s time for the weekend roundup in imperial and global history. 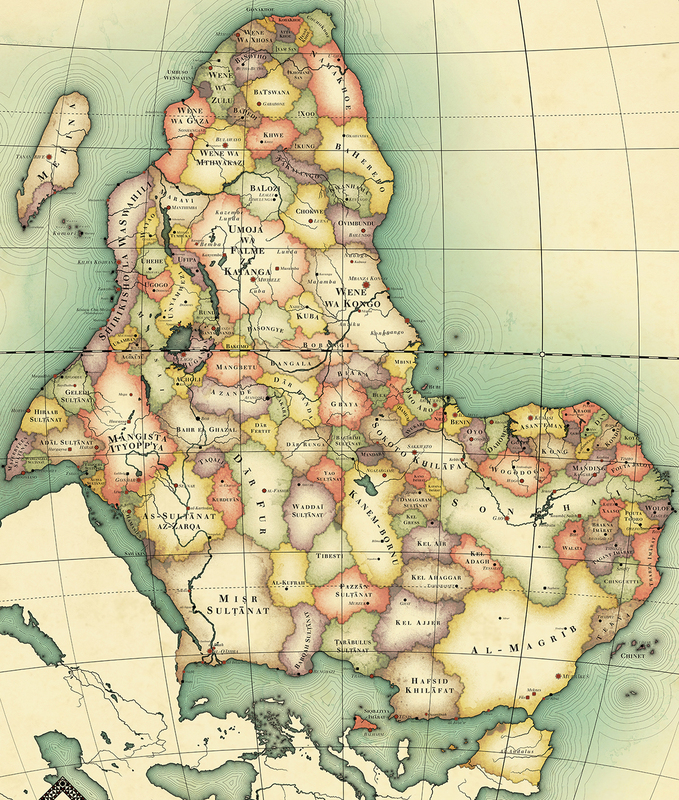 The Washington Post notes that ‘the map asks what Africa would look like today if colonialism had never happened. (Africa’s present-day borders were determined largely by colonialism, which continues to create lots of very big problems.) Cyon drew these boundaries based on a study of political and tribal units in 1844, the eve of Europe’s “scramble for Africa.” He oriented it with south at the top to subvert the traditional Europe-on-top orientation.’ Be sure to check out the dozens of other maps compiled by the Washington Post‘s Max Fisher. 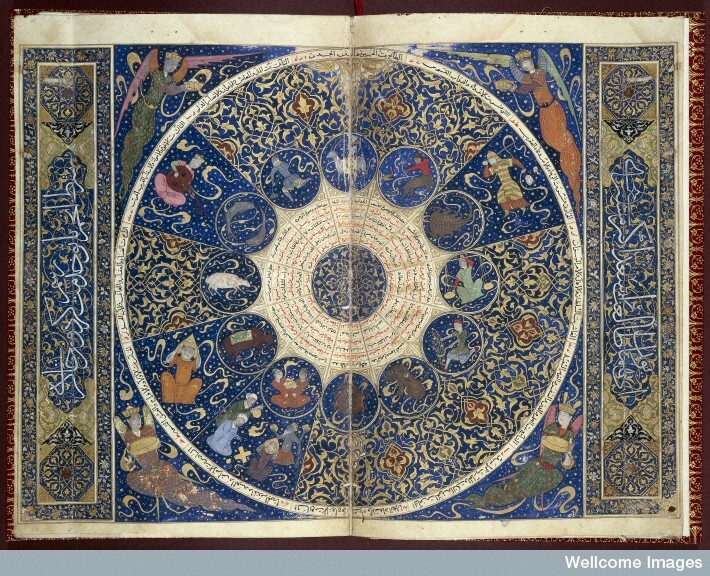 15th-century Persian horoscope from the book of the birth of Iskandar, via the Wellcome Library. The images can be downloaded in high-resolution directly from the Wellcome Images website for users to freely copy, distribute, edit, manipulate, and build upon as you wish, for personal or commercial use. The images range from ancient medical manuscripts to etchings by artists such as Vincent Van Gogh and Francisco Goya.The earliest item is an Egyptian prescription on papyrus, and treasures include exquisite medieval illuminated manuscripts and anatomical drawings, from delicate 16th century fugitive sheets, whose hinged paper flaps reveal hidden viscera to Paolo Mascagni’s vibrantly coloured etching of an ‘exploded’ torso. Other treasures include a beautiful Persian horoscope for the 15th-century prince Iskandar, sharply sketched satires by Rowlandson, Gillray and Cruikshank, as well as photography from Eadweard Muybridge’s studies of motion. John Thomson’s remarkable nineteenth century portraits from his travels in China can be downloaded, as well a newly added series of photographs of hysteric and epileptic patients at the famous Salpêtrière Hospital. Don’t miss Exeter IGH Network’s provocative three-part series discussing whether the relationship between imperial and global history is merely one of convenience. Check out part I, part II, and part III. Also, if you are an early career researcher of the subject, be sure to join their Researcher Database. 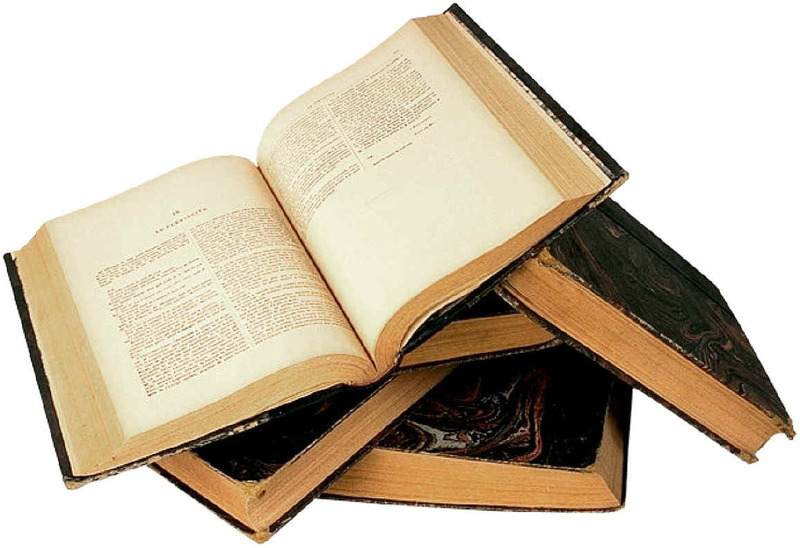 Lastly, there are some insightful reviews via H-Empire, H-War, and H-Diplo respectively on French missionaries and empire, Korean War memoirs, and British economic warfare and the First World War.